A long par 3 with out of bounds running all the way along the left hand side of the hole. 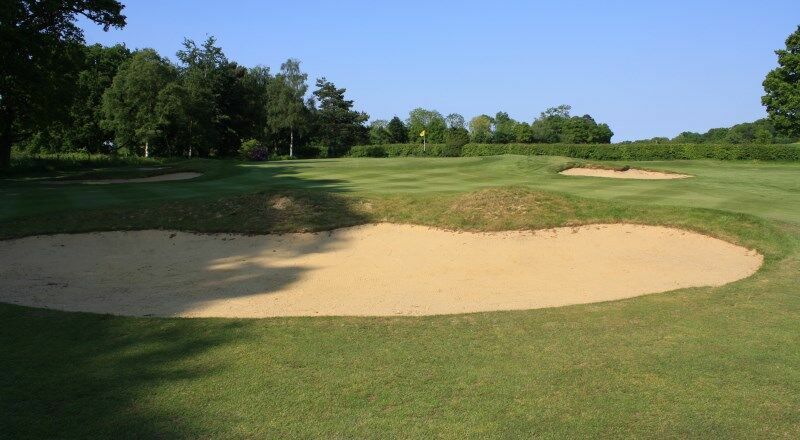 A large bunker directly in front of the green makes club selection very important and can shorten the look of the hole, don't be fooled!!!. This is always a tough green to putt on as it slopes from front to back and has some subtle borrows. 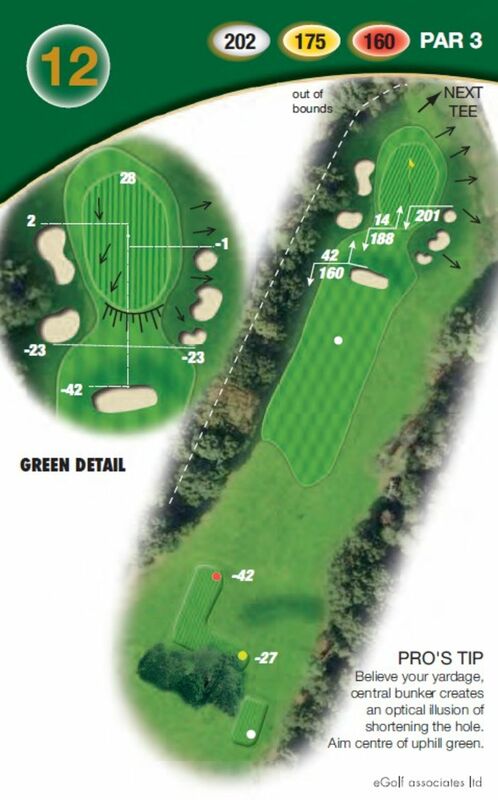 Believe your yardage, the central bunker creates an illusion of shortening the hole. Aim to the centre of an uphill green.